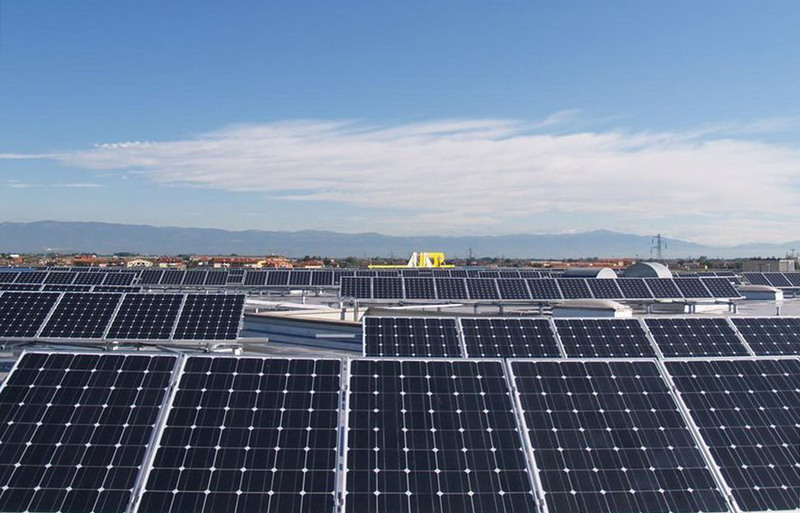 Photovoltaic system installed at the University of Florence. 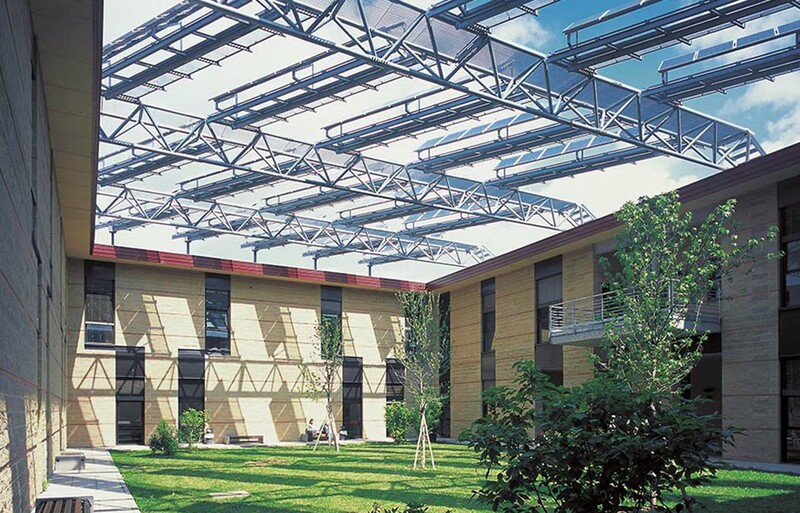 Photovoltaic plant integrated by 20 kWp on the courtyard of the classroom building and Library of the Scientific University pole of Sesto Fiorentino. Metallic support structures of the photovoltaic panels: principal beams with a threedimensional tubular reticular structure in support of the existing covering; connections with the inspection gangway outlined in full core steel and stamping floor in zinc-plated electroforged grill; insertion of life lines ARIANA type; composition ready for use of the principal beams by means of joint cut.